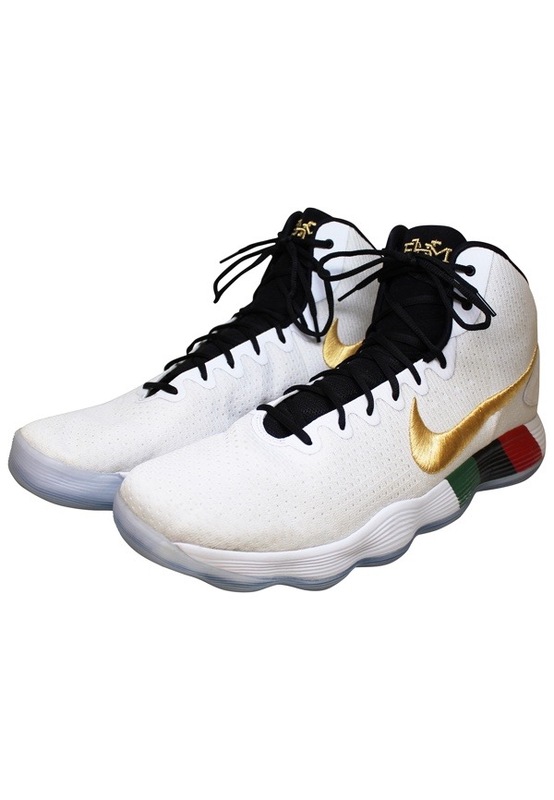 The number one overall pick in the 2015 NBA draft Karl-Anthony Towns wore these sneakers in multiple games of the 2017-18 season during “Black History Month”. Towns recorded double-doubles in these sneakers on February 23rd and 24th. 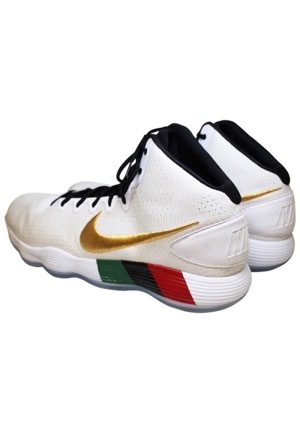 Nike manufactured Hyperdunk size “20” white promo sample sneakers with gold, red, black and green trim. A gold Nike “Swoosh” logo is embroidered on the insides and outsides while a pattern of red, black and green is below. 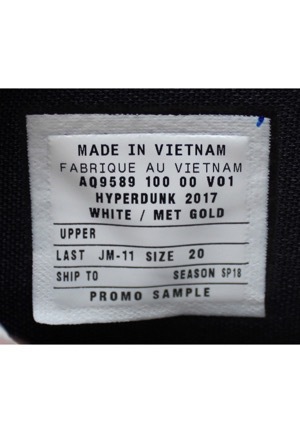 These sneakers are properly tagged, were presented to us as game-used and show use.